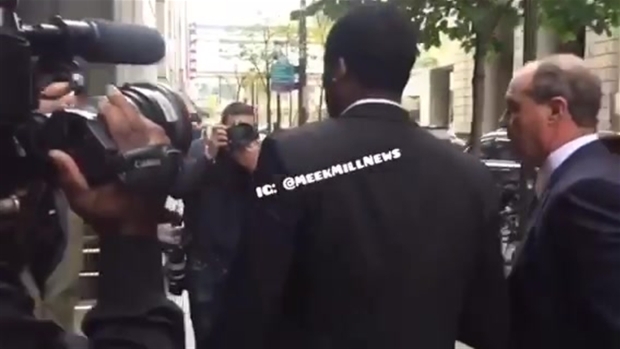 Chanting "Free Meek Mill," a large crowd rallied outside Philadelphia's Criminal Justice Center Monday evening demanding that a judge release the rapper from a state prison. Mill, born Robert Rihmeek Williams, was sentenced a week ago to two to four years behind bars for violating the terms of his probation on a decade-old weapons charge. Popular sports and music celebrities — including 76ers legend Julius Erving, rapper Rick Ross, and Eagles star Malcolm Jenkins — spoke at the event along Filbert Street in the shadow of City Hall calling for Mill to be released. His fans hope they can help him get out of Pennsylvania State Correctional Institution Camp Hill, near Harrisburg, with a Change.org petition that has already garnered nearly 345,000 signatures. "The punishment bestowed upon him is excessive," Erving said during the rally. "It's cruel." The rally's organizers say they want to do more than free Mill; they want to call attention to problems within the whole justice system. 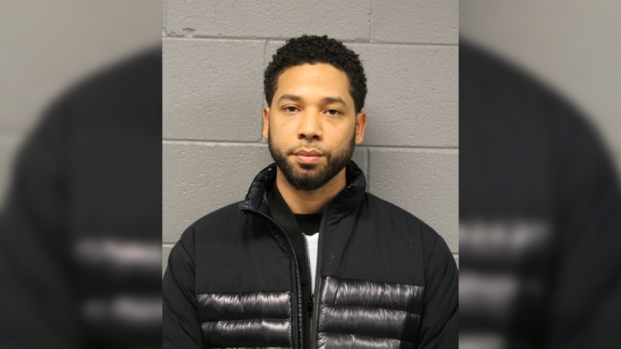 Several speakers mentioned using the notoriety of Mill's case to draw attention to unjust treatment of black and brown men in the criminal justice system. Eric Gilliard, one of the protesters, told NBC10 he spent seven years in prison for a crime he claims he never committed. Gilliard along with others say that now is the time for criminal justice reform. "Now that it is happening and it's happening to somebody like that, we should worry about the little people now," Gilliard said. "Not just Meek." Jenkins, a vocal supporter of criminal justice reform, has used his own platform on the NFL field to stage demonstrations during the national anthem before Eagles games. He has also met with lawmakers in an attempt to reform the criminal justice system. The 30-year-old Philadelphia native was convicted on drug and gun charges in 2008 but released in 2009 under a five-year parole agreement. Since then prosecutors say Mill has violated parole by repeatedly changing his court-approved travel schedule and ducking a drug test. When sentencing the 30-year-old musician last Monday, Common Pleas Judge Genece Brinkley cited a failed drug test and a failure to comply with a court order restricting his travel. The handing down of the sentence came after a prosecutor recommended that Mill not be imprisoned for the violations, saying that he has been in recovery since January and that he has grown as a person since his original crime. Brinkley said the prosecutor was too new to the case to understand how Mill just "does what he wants." A few of the speakers called for Brinkley to recuse herself from the case. They called the sentencing unjust and excessive. Prosecutors had recommended against prison time, but Brinkley ignored their conclusion. Mill's lawyer, Brian McMonagle, vowed to appeal the decision as more than a dozen friends and family members stormed out of the courtroom.